My guest columnists this month are Jerry Kang, the Korea Times-Hankook Ilbo Chair in Korean American Studies and Law at UCLA, and APS Fellow Nilanjana Dasgupta, a professor of psychology at University of Massachusetts Amherst. 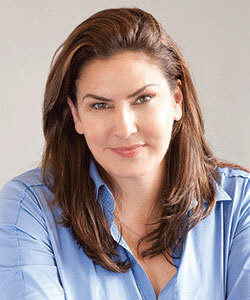 She is a social psychologist whose research is on implicit social cognition and its impact on judgments of others and the self. These scholars have been working both together and independently to translate psychological science to law and public policy, and vice versa. Below, they reflect on their translational approach and demonstrate the importance of applying the science of human mental life and behavior to address societal problems. Science teaches us new facts about the world. Psychological science teaches us new facts about the human mind and behavior. If new discoveries in psychology falsify “common sense” about human behavior, then such scientific knowledge should be used to influence our social world, including our laws and policies. This simple belief is what brought us together — a legal scholar (Jerry Kang) and a social psychologist (Nilanjana Dasgupta) — after a chance meeting at an interdisciplinary conference at Harvard Law School over 10 years ago. Even back then, we both thought it odd that new findings in experimental social psychology, especially implicit social cognition, remained sequestered in academic journals and rarely influenced discourse about law and policy. To remedy this divide, over the past decade we’ve collaborated on various projects that deliberately cross two boundaries: the boundary between disciplines, and the boundary between basic research and applications. It’s obvious how psychology can help inform law. Consider, for example, the construct of “intent,” which is crucial to the law. In constitutional and antidiscrimination law, students quickly learn about the difference between intentional action (e.g., the intent to hurt a racial minority) versus the disparate impact of an action not intended to harm (e.g., a racially disparate outcome of a selection process not originally intended to discriminate). But psychology can add more complexity. What about the difference between actions that favor individuals from one’s own group versus actions that discriminate against individuals from an outgroup? What about the difference between explicit judgments and actions versus implicit ones? We are gratified that the explosion of research on these topics, including implicit bias, has rapidly permeated legal analysis in the past decade. But disciplinary boundaries should be crossed in both directions. The law has embedded within it countless constructs and assumptions that constitute a rich substrate from which scientific hypotheses can be derived. For instance, every first-year criminal law student learns the Model Penal Code’s typology of mental states: purposeful, knowing, reckless, and negligent. These legal constructs may inform psychological theories of intention and behavior. Legal conceptions of the continuum of intentionality may mediate the link between attitudes (implicit or explicit) and subsequent behavior. In contemporary science, there’s growing interest in applying basic research to address specific problems in the social world (often called “translational research”). Translational research is at the center of biomedical and behavioral sciences today. In our case, we’re interested in translating basic research on implicit bias and intergroup relations — originally developed and tested in laboratory settings — to shed light on societal problems. As a case in point, in the legal context, lawyers care most about harm and remedy. Harm doesn’t come from merely having implicit bias in the mind. Instead, it comes from discrimination that results from these biases, which raises scientific questions of predictive and external validity. To test predictive and external validity, we need to go beyond testing theory in controlled lab settings with convenience samples to testing theory using nonstudent samples in applied settings. This type of research requires collaboration across disciplines. In one such collaborative study, we examined whether implicit stereotypes about who makes an ideal lawyer would alter the general public’s evaluations of legal work done by a White or Asian male lawyer. We conducted this study using a jury-eligible sample of adults and found that people who implicitly envisioned White men (more so than Asian men) as having “lawyer-like” qualities were more likely to evaluate the White lawyer as being competent and likeable. They were also more willing to hire him — even though his legal work was identical in quality to that of an Asian lawyer. 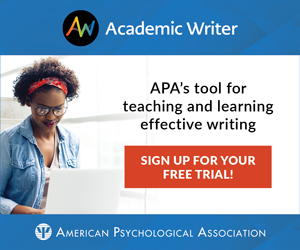 As evidence accumulates demonstrating the causal linkage between implicit bias and behavior, the focus will shift to debiasing remedies — how to prevent such harm, whether by decreasing the strength of stereotypic mental associations, or by avoiding stereotype activation, or by cutting its connection to behavior. On the question of debiasing remedies, the law again helps guide scientific inquiry. Current antidiscrimination law, including Title VII as well as Equal Protection doctrine, will tolerate certain types of remedies but not others. A psychologist might be interested in finding the most efficacious debiasing measure possible, but a lawyer will care whether that strategy could ever be legally adopted; otherwise, it’s just academic. By collaborating across disciplines, we can identify debiasing strategies that will be both empirically effective and legally palatable. Myriad interesting questions await answers from psychological science. But not all questions are equally ready for translation to the social world. The social world cares about problems and solutions, harms and remedies, which a translational mindset recognizes. And by engaging across disciplines, we can not only more quickly identify the most pressing questions but also find better ways to arrive at answers. 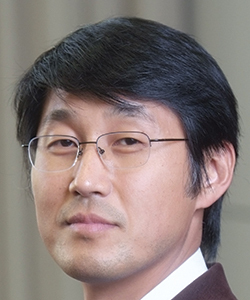 Jerry Kang is the Korea Times-Hankook Ilbo Chair in Korean American Studies and Law at UCLA. 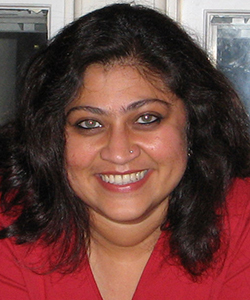 Nilanjana Dasgupta is an APS Fellow and professor of psychology at University of Massachusetts Amherst.